If you have a Kindle and the most recent software update—2.5—you can do some pretty cool things. Most Kindle owners probably know that you can highlight and annotate passages in the Kindle. You probably also know that you can download Kindle on your PC or Mac and iPhone and read books on all of your devices. What you may not know is that you can access all your highlights and notes from your Kindle account. Simply visit the Kindle account page and log in. Really handy for creating blog posts. I used it when I quoted passages from Medieval Lives in my recent review. If you want to turn this feature off, from the main menu screen, press the Menu button, go to Settings, and move your cursor to Annotations Backup and turn the feature off. I think it is on by default. You can also delete notes from your Kindle account page, which is handy if you heavily marked a book, such as a textbook, and you no longer want to access those annotations. With the 2.5 update, highlighting can be social. The update has a feature that allows you to see the most frequently highlighted passages in Kindle books. No notes or identifying information are shared, so you need not worry about privacy, but it might be interesting to see what other readers thought worthy of highlighting. To toggle this feature on or off, from your main menu, press the Menu button, select Settings, move your cursor to Popular Highlights, and turn the feature off. It is on by default. Another interesting addition in the software update is the ability to link your Kindle to social networks. You can currently link your Kindle to either your Twitter or your Facebook account if you want to share highlights or notes with followers or friends. Once again, you can toggle this feature by pressing the Menu button from the main menu, selecting Settings, and moving your cursor to Social Networks. You have to activate this feature by linking it to your Twitter or Facebook account; it is not on by default. Another new feature that I am really excited about is Collections. You can create collections for your books based on whatever organization scheme you want. I don’t have too many books on my Kindle right now, so Fiction and Nonfiction are appropriate, but if you have a big collection, filing your books by genre or even author might be helpful for organization. To make a new collection, press Menu from the main menu and select Create New Collection. You can change the titles of your collections later, and you can add books to multiple collections if you like. If you accidentally delete a collection, the books will just return to the main screen, so you don’t need to worry about accidentally deleting books. Other new features include password protection and PDF zoom. I had the unpleasant experience of putting a PDF on my Kindle, only to find it hard to read because the PDF was displayed at the size saved, and it was impossible to zoom. The only way I could read it was to change the orientation, which was awkward for me. Kindle 1 owners won’t be able to download 2.5 software. If for some reason your Kindle hasn’t downloaded the new software, you can follow Amazon’s instructions for downloading it manually. 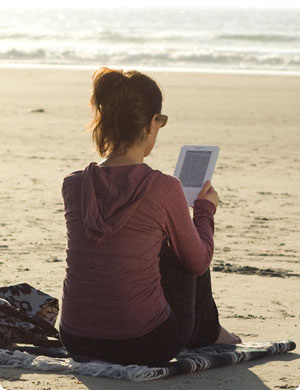 Know of a trick for the Kindle you want to share? Sound off in the comments. Note: I have decided to create a posting schedule for this blog so that it is updated at least three times a week. Sometimes almost a month goes by with no updates! 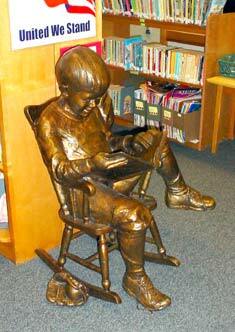 To that end, Tuesdays will be dedicated to book news, Kindle news, reflections on reading and books, and the like. Thursdays will be dedicated to Booking Through Thursday. Sundays will be dedicated to reading updates and will be tagged with my “in-progress” tag. It will give me a chance to talk about books I abandon and my initial impressions, reflections, or other thoughts about what I’m currently reading. I will still post book reviews whenever I finish books, regardless of the schedule. Lexcycle announced today that it has been acquired by Amazon. Lexcycle is the developer of the popular iPhone app Stanza. While Lexcycle is currently promising no “changes in the Stanza application or user experience as a result of the acquisition,” I’m not sure I believe that. Am I still going to be able to download books for free from Project Gutenberg and Feedbooks? Why would Amazon want to continue developing Stanza, which could be seen as a direct competitor with their own Kindle app? I don’t have anything against Amazon, but it has been great to be able to download free classics like The Woman in White, Persuasion, and A Tale of Two Cities (among others I plan to read) in a perfectly readable format for free. After all, I can find them online for free. The format in Stanza makes the text more readable than using a computer to read. I would hate to see Stanza change, but I don’t see how it won’t. It doesn’t make sense to me for Amazon not to at least stop offering free books—they’re all about making a profit from reading, aren’t they? I found I could really relate to the mother in this New York Times article “I Wish I Could Read Like a Girl.” I remember that feeling — draping over a chair and losing myself in a book. I think one of the reasons I liked the Harry Potter series so much (and really, Twilight, too) was that feeling of being lost in another place, immersed in the world of the characters I was reading about. Strange how rare that is for adults — for perfectly plausible reasons, too: all the responsibilities of being an adult, including jobs, taking care of children, bills, housework, etc. We just don’t have the luxury of reading like girls when we grow up. It’s a sad thing. I have not abandoned this blog, I promise you, but grad school has made it difficult for me to read as much as I’d like. Not reading as much means no book reviews. I’m finished with the semester, and I’m re-reading junk food favorite Twilight in addition to my new copy of The Tales of Beedle the Bard. I am enjoying a study of Macbeth with my juniors. I begin Romeo and Juliet again in January, and I love teaching that play. In addition, I also get to teach A Midsummer Night’s Dream for the second time ever and The Taming of the Shrew for the first, so I’m looking for some good times with Uncle Will. I will probably blog about any experiences teaching these plays at my education blog rather than here. I came upon the New York Times article about the memorial service for Studs Terkel today. I listened to a long recording Terkel did with people who discussed the Great Depression, and it reminded me so much of what my grandfather did when he sent me a long letter about some of his experiences. My life is richer for having heard his history, and now I can pass it on. That’s what is valuable about the stories of the ordinary man in addition to politicians and famous folk, and that’s what Studs Terkel really understood about compelling stories — they are our stories and our voices, and our lives are richer when they are heard. I listen to This American Life often as a subscriber of their podcast (which is where I heard the Terkel recording), and every week I find something new and enjoyable about the stories of people. Quite a few of the books mentioned are on my to-read list, and I have heard a lot of these books praised. However, I have to say that I don’t think some of them should be considered “classics.” Popular, maybe, but that’s hardly the same thing. Exactly how bad a parent do you have to be to lose custody of your children to Kevin Federline? I didn’t write anything yesterday. Last year, I wrote about Eric Lehrfeld as part of the 2996 September 11 tribute to those who perished in the attacks on the World Trade Center, the Pentagon, or Flight 93. I didn’t participate in 2996 this year — I checked out the site, and it seems as though it has grown beyond what the originators are able to manage. It didn’t look as though it would be as organized this year, and I was worried that proper justice wouldn’t be done. It is interesting to me, however, that participating last year really changed something about my outlook. This year, when September 11 came and went, Eric Lehrfeld, a man I never met in life, was on my mind all day. Not Osama bin Laden. Not Al-Qaeda. Not planes flying into buildings or into a field in Pennsylvania. I didn’t watch any video (if any was shown). I didn’t read any articles or participate in memorials. But all day, Eric Lehrfeld’s smiling face popped into my mind, and I thought about his wife, his sister, his parents, and most of all, his little girl. I wonder if each September 11, I’ll learn a little more about him. This year, for instance, I learned that he brought a puppy to an outdoor wedding, fulfilling the bride’s wish to have “at least one dog” at the ceremony. I also learned he liked The Simpsons. I also learned a little bit more about his last moments. We are often told that when we put a real person, a real name to a tragedy, only then does it become real. Only then do we personalize it. Until it happens, it doesn’t really sound like anything but a trite little aphorism. It’s true. I think I will probably think of Eric every year. 2,996. The number seems so large. The devastation wrought on 9/11/01 can be difficult to digest. Numbers like that are beyond comprehension. Nearly three-thousand people, who were going about their daily business, just like you and me, had their lives cut short. I can’t tell you about all of them, but I can tell you about one man. His name was Eric Andrew Lehrfeld. Eric Lehrfeld was the son of Daniel and Lynn Lehrfeld. He was an alumnus of New York University. He married the former Hayley Schwartz on August 9, 1998. Mrs. Lehrfeld recalled, “We met in the winter of 1996 at a Jewish singles party at the Roxy, on West 18th Street. We loved to talk about the day we met.” They were the parents of Laura Elizabeth Lehrfeld, who was 17 1/2 months old on 9/11/01. I keep saying to myself: Eric, where are you… He was my pal, my best man. Husband, father, friend, colleague and classmate. He did them all really well…Made me want to do them better. Eric…Where are you? Eric was a good friend of mine during our high school days at Clarkstown North High School. It seemed like only yesterday that we were playing poker in his basement with Pete, Adam, John, etc. As a matter of fact, I think I still owe Eric some money from a bluff gone wrong. We lost touch sometime during our college years. On September 11, 2002 I was on the computer scrolling through the names of the people who were lost a year ago. There were so many names and I was scrolling through so fast it was all a blur and yet… the name Eric Andrew Lehrfeld stood out as clear as that terrible day a year ago. “It couldn’t be,” I thought to myself. Then I saw the caption after his name, “Comic Collector.” It was then I knew. I scrolled down to see his picture and saw his face. I was immediately transported back in time to his basement years ago during that last poker hand when he called my bluff. “Fork it over,” he said. “I’ll catch you the next time,” I responded. A year ago I lived in Battery Park City and walked right through the World Trade Center at 8:30am on my way to work. I wish I had run into Eric that morning. We would have talked about what had happened to us during the past few years and laughed about the good times we had in high school. I’m sure he would have brought up the fact that I owed him twenty bucks from that last poker hand years ago. We’d carry on long enough for him to be late to that meeting he had. I wish I could have given Eric his twenty bucks that day. Eric is my big brother and the best brother anyone could have ever hoped for. Words cannot describe the sadness and sense of loss I feel everyday, but I am so thankful for every moment of the 28 1/2 years we did have together. Athough 3 years have passed since the last time I saw his face, he lives in my heart and is a part of my life in everything I do and see. Eric, wherever you are, I know you are looking down at us (from the comic you are reading right now) and can feel how much we all love and miss you. Your amazing daughter grows more and more beautiful and intelligent everyday and it is amazing to watch as her sense of humor, her expressions and her sense of love for family and friends grows to mirror her Daddy’s. Eric, I love you always. Eric was Director of Business Development for Random Walk Computing. He was attending a conference on the 106th floor of the North Tower at the World Trade Center on September 11, 2001. COO of Random Walk Jim Lowe said, “Eric was not only instrumental to Random Walk’s success over the years, but was also a close friend. We will miss Eric on every level, personal and professional.” Random Walk established a charitable fund to help pay for Laura Lehrfeld’s college expenses. 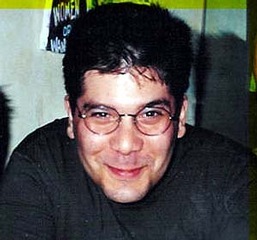 To make a donation in Eric’s memory, please contact Random Walk at (212) 480-5820. 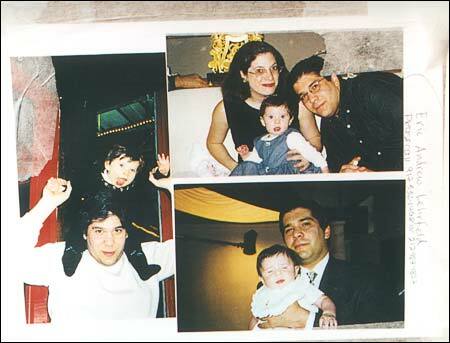 Near the rubble of the World Trade Center, 18-month-old Laura Lehrfeld lit the first candle of a menorah. A similar ceremony will take place each of the next seven nights of Hanukkah. Laura’s father, Eric Lehrfeld, was at a breakfast conference at the top of Tower 1 when a hijacked airliner struck the building. Even though 5 years have passed, the pain doesn’t go away and we all miss him terribly. Eric was an amazing, brilliant, handsome, thoughtful and caring Husband, Father, Son, Grandson, Brother and most important Friend. As recent as this weekend we have received messages from people whose lives were touched by Eric at some point in their lives, letting us know how much they miss him and all the good he brought to their lives. Whenever I look at his daughter I can see him shining through reminding us that a part of him is still here with us and lives through her every day. Even though they only got to spend 17 short months together, she knows just how special her Daddy Eric is and knows that he lives always and forever in her heart. ba’agalah u’veez’man kareev, v’eemru: Amein. Amein. Y’hey sh’met rabbah m’varach l’alam u’l’almey almahyah. Y’hey sh’met rabbah m’varach l’alam u’l’almey almahyah. Visit Eric Andrew Lehrfeld’s Memorial at Remember: September 11, 2001 and sign his Guest Book. 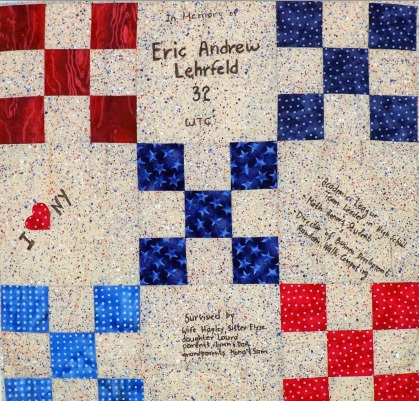 Visit Eric Andrew Lehrfeld’s tribute at September 11, 2001 Victims and leave your comments.